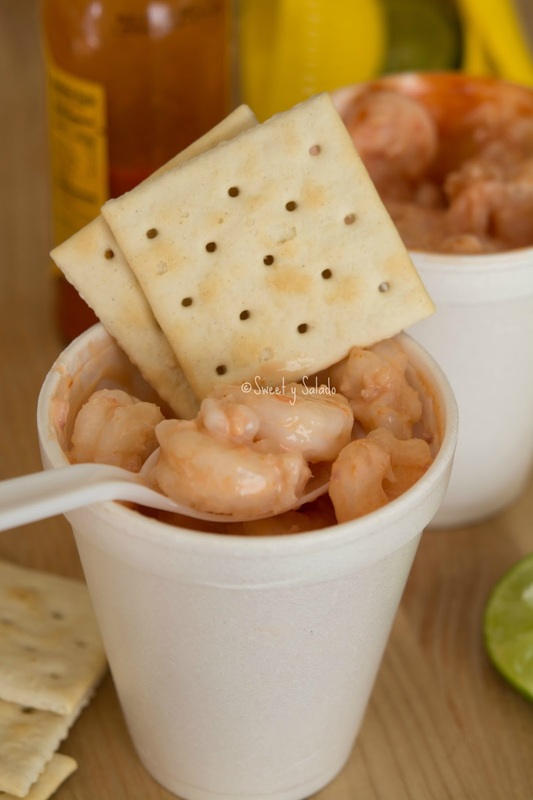 You will find many different recipes for shrimp cocktail all over the world, especially in Latin America. The Colombian version never caught my attention because when you compare it to other recipes, it just simply doesn’t look that good. 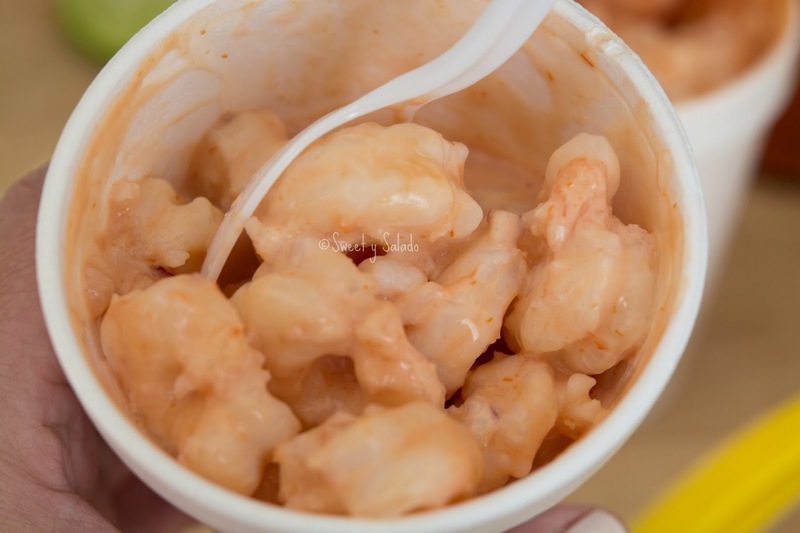 I mean, what’s so great about eating cooked shrimp covered in mayo and ketchup? Turns out, it’s probably the best shrimp cocktail recipe I have ever had. I lived in Las Vegas for a few years when I was younger and casinos tend to make and sell quite a bit of shrimp cocktails. But I would only eat it whenever my friends did because I didn’t really like it. The shrimp was always overcooked and the sauce always had that sour and extremely fake flavor. That’s why I never wanted to spend money on something I didn’t really like. This Colombian shrimp cocktail however, it’s simply amazing. 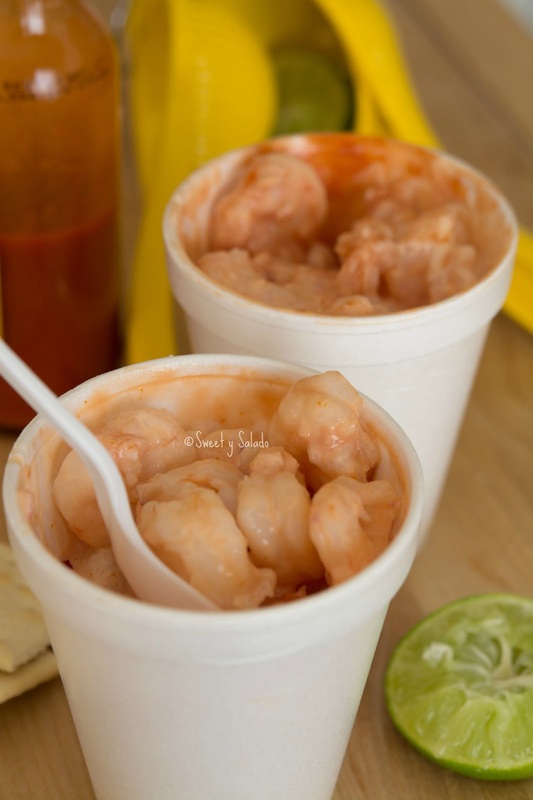 The combination of the ketchup, mayo, lime juice and garlic water goes really well with the shrimp. That’s why it’s no wonder it’s one of the most popular snacks you can get while you’re at the beach in Colombia or in this case, in the comfort of your own home. Bring water to a boil in a medium pot over high heat. Add salt to taste and then add the raw shrimp. Reduce heat to medium and let shrimp cook until the water comes to a boil again (about three minutes). Drain the shrimp and then transfer to a bowl of iced water to stop the cooking process. Drain again and let it cool completely in the fridge. To serve, fill an 8 oz. 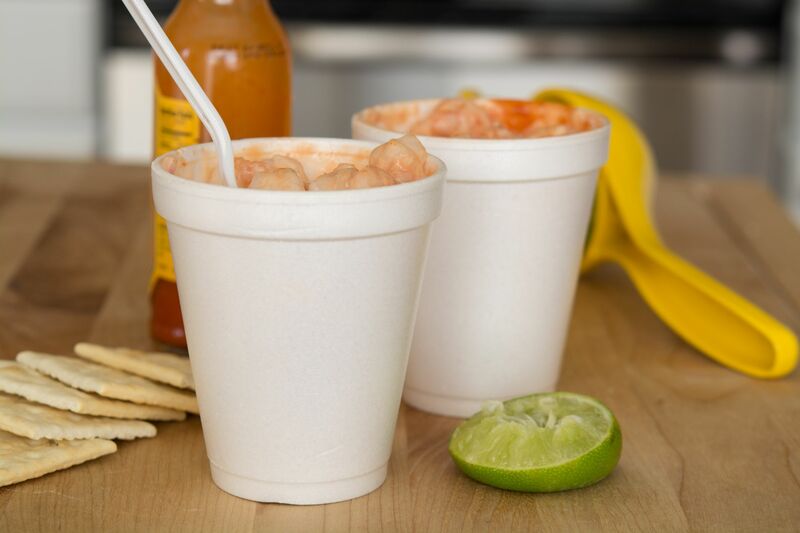 cup or glass with cooked shrimp, add 1 tbsp of chopped red onion, squeeze the lime on top, add 1 tbsp garlic water, 2 tbsp ketchup and 1 tbsp mayonnaise. Stir really well and serve with saltine crackers on the side. To make the garlic water, fill a small airtight bottle or container with water, place 2-3 garlic cloves inside, cover it and keep it in the fridge overnight.